It's hard to decide how to start this. I've inwardly debated writing anything for nearly a year now, much less dedicating an entire blog to it. However, this is something that is not going away, and I feel this is what God has given me to do, so I must stop delaying and get to it. I have fibromyalgia. I have probably had it for a very long time, possibly as far back as I can remember, but I have only been diagnosed with it since last July. The symptoms vary based on the individual person, but there are common ones that appear with nearly everyone. Mine, in particular, seem to center on chronic headaches, general overwhelming fatigue, painful joints, muscle weakness, mental fog, a frequently unhappy stomach, and some intermittent mood swings. I faced a lot of those symptoms during my time at Northland, but being a busy, tired, stressed college student, I blew it off as general college fatigue. I still took as many classes as I could fit into my schedule, worked as many security hours, and committed to an extension church about an hour from campus. It made sense at the time to be so tired, and I didn't question it. Then I went to Asia for a couple semesters and with yet another crazy set of circumstances. Yet again the headaches and fatigue were completely understandable, but upon coming home and sleeping full nights for months on end and still walking around completely exhausted and in pain, I started realizing there was something wrong on a deeper level that a full night of sleep wasn't going to fix. I started researching on my own online and came across a condition known as Fibromyalgia. I had always categorized it with conditions associated with elderly people based on the commercials I'd seen on tv, but when I started reading symptoms and common traits of it, I began to see how very familiar it all sounded. I was afraid to call it that, but I started becoming convinced that fibro was what I had. Finally, on July 4th of 2012 I had a severe migraine that ended with me insisting my parents take me to the ER for some kind of relief. 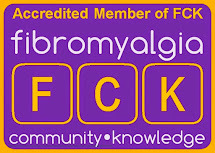 That finally convinced me I needed to have a serious sitdown conversation with a doctor, so I scheduled an appointment and after many blood tests and a few more appointments with my doctor, as well as a consultation with a Rheumatologist, I was diagnosed with fibromyalgia officially. That is the story of how I came to associate this "new normalcy" with fibro. It has been simplified for length and audience consideration (nobody really wants to hear every boring detail from along the way), but that's the gist of it. 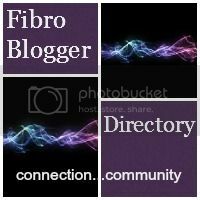 It is my intention and hope for this blog that it will be a voice for not only raising awareness about fibromyalgia, but also an encouragement and reminder for anyone with a chronic, life-altering condition that there is a purpose in it. God is not less interested in using you, nor is He less powerful to work in it through you. To me fibro without God would mean no hope. No hope of a purpose-filled life, no hope for the future, no hope of any kind of healing, no hope of making an impact on anything, no hope of the resurrection--no hope. Granted, life without God already has no hope, but fibro steals away any tendency to just enjoy life and ignore the tough questions. One of the worst parts of having fibro is constantly questioning in the dark corners of your mind whether or not life is worth the painful process of going through each day-waiting for it to knock you down again. It is not something that is easy to face on a regular basis, but it is also something that would seem impossible to face at all, if not for the hope that the Gospel brings. Each day is possible to start again because I know that God has planned it with me in mind as a part of it, and that plan right now involves fibro. Each day has a chance of being painful, but it also brings an opportunity to be used by Him for His purposes, and that is a beautiful thought. Life is not easy for anyone, and having fibro does not give you special license to drift through life moaning about the pain. Having fibro is a special opportunity to glorify God through specific struggle. I am not writing this blog in hopes of creating some new resource for recipes or miracle cures that might help. The web is full of other places and forums for that sort of resource. I am also not writing this to create a support group for people to air their complaints about pain, doctors, prescription medications, or the like. There are also many resources for that online. What I am attempting to do is share a genuine (and sometimes not so pretty) picture of this journey that God has called me to, which right now is greatly involved in figuring out how to best deal with fibro. Somedays it all makes sense and I accept it completely, and other days it is like walking through fog, hoping the ground is still there to catch your each step because you can no longer see it for yourself. Both in the sunny and foggier days, the Truth remains, and I hope to share it both with you as reader, and with myself when I can't seem to remember it (another symptom). Thank you for caring enough to read this incredibly long first post, I doubt they will all be this long. Periodically throughout the blog I will attempt to share what I need prayer in the most, and how to be encouraging the people in your life who are dealing with pain on a daily basis. It feels a bit awkward to ask for prayer in such a public forum, but God has been working in me to the end that I realize I am not more spiritual in His eyes for hiding and covering up weaknesses. Sometimes the best gauge of strength is knowing when to let someone else take up the fight on your behalf. It is my hope and prayer that this blog is encouraging and useful to my fellow brothers and sisters in Christ. May it be used by Him for the further growth and strengthening of His Body.